I have taken a number of phone calls over the past couple of years where I have been asked to provide a fruit cake for the following weekend or even the following day! I have felt so mean having to turn people down especially when they start to tell you how their friend promised to make the wedding / birthday cake and then let them down at the last-minute or how Mum insisted on baking the wedding cake only to find that it is not as easy as it looks in the magazine! Since fruit cakes are not as popular these days with brides-to-be I tend not to keep maturing cakes in stock, only making them when specifically ordered. I did, however, stumble across this little beauty of a recipe in a compilation of recipes from Australia‘s “Woman’s Own” magazine. It is a boiled fruit cake! 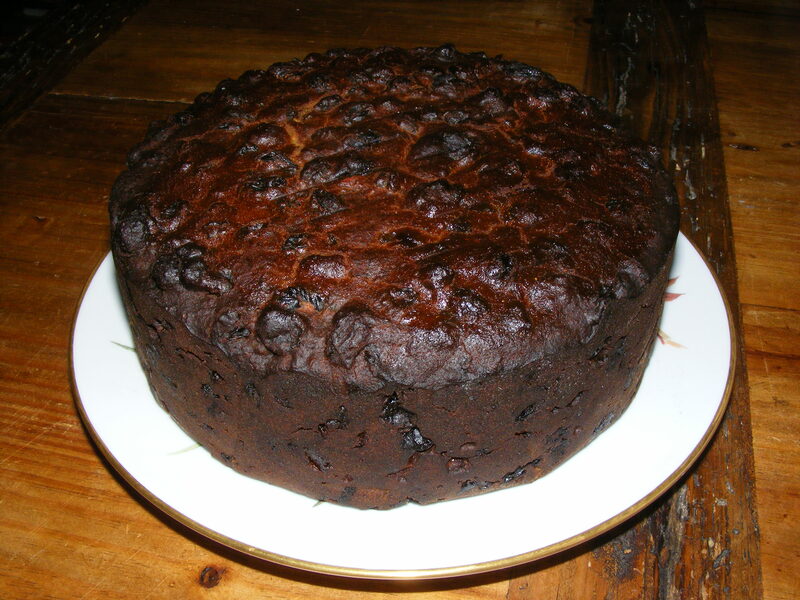 I have made a boiled Chocolate Orange fruit cake in the past which boils the fruit in Tia Maria and results in a darkly decadent, rich fruit cake. This recipe is a little bit more down to earth and uses Sherry. 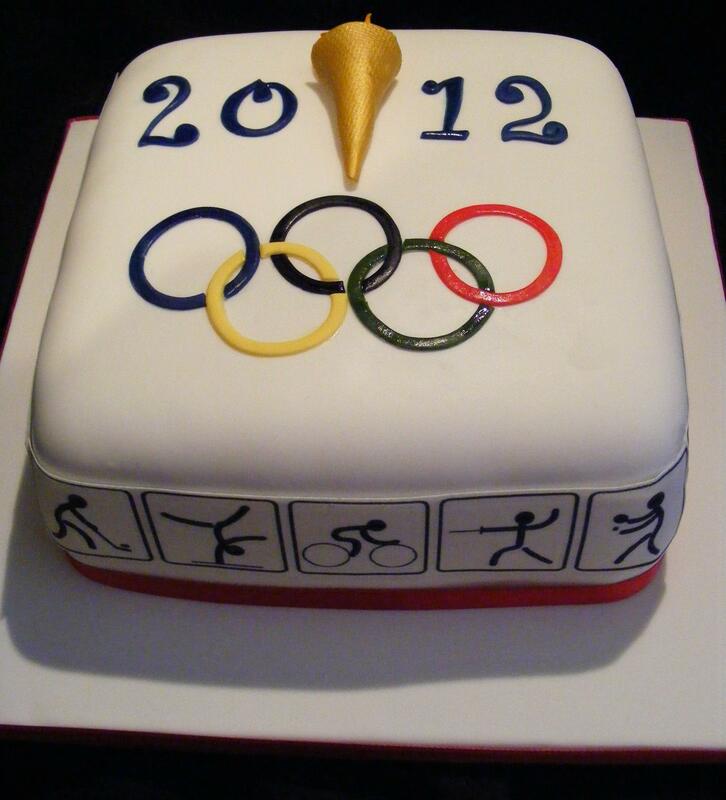 My best friend was kind enough to be my guinea pig for this recipe when she asked me to make an Olympic themed birthday cake for her husband. I asked them to give me their honest opinion but instead they saved me a piece and said try it yourself! I have to say that this cake is absolutely gorgeous! It is packed with fruit, 1kg in fact, and the sherry and orange zest /oil adds a beautiful citrus note without it being too cloying. I am so impressed with this recipe that I have decided to switch to using this for all of my wedding / birthday cakes. It really is that good! Preheat the oven to 150C / 130C fan. Grease and line a deep 8 inch cake tin. Place the fruit, sugar, butter, sherry, water and orange into a large saucepan. Heat gently, stirring occasionally until all the butter and sugar has melted then bring to the boil. Beat in the eggs into the cooled mixture then fold in the dry ingredients. Remove from the oven and whilst still hot paint liberally with extra sherry. Allow the cake to cool in the tin then turn onto a cooling rack to cool completely. Do you have a recommended a (non-alcoholic) alternative to sherry? This recipe seems excellent, but i need a non-alcohol version – would apple juice or tea work? I went with tea – used 4 tea bags and steeped it for about 15 minutes with the 250ml of water. I also put large strips of orange peel in with the fruit whilst boiling and discarded when mixing it together as batter. We ate the cake over the weekend and it is delicious (even if i do say so myself!) thanks for the help!